A lot of customers will think that nothing to do after their lapel pins are made. In fact, this idea is wrong. The custom pins are mostly metal products such as brass, copper, and zinc alloys. These beautiful lapel pins are not often maintained, in oxidation and other situations will change color to not look good. 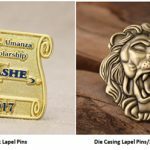 If there are lapel pins with collectible value, this will greatly reduce the collection value of lapel pins. So how do we maintain our own lapel pins? If the lapel pins is dirty, wipe off the dirt on the surface and place it in a dry and ventilated cabinet. It is important to pay attention to avoid contact with chemicals in order to avoid direct corrosion of lapel pins. General lapel pins are made of metal materials, exposed to the air easily oxidized, so you should choose to the sealing of the box, but also easy to watch. For example individually PVC bag, Velour Box or Plastic Box. Some lapel pins are too dry law after long-term sunlight exposure, and they can cause damage. Therefore, they should not be stored in a place where there is direct sunlight. 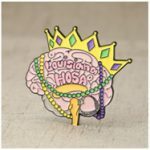 Avoiding light, ventilation, and appropriate humidity are important conditions for the protection of lapel pins. Otherwise, some lapel pins may fade, and plastic and wooden badges are also prone to aging and deformation. Prevention of accidental injury: For collectors of smoking, this cannot be taken lightly, and must always prevent damage to the lapel pins at all times. The best way to do this is to practice isolation the lapel pins. Whenever you want to watch, bring a pair of thin gloves, take lightly put, pay attention to prevent collision with hard objects, especially remember not to look over the collection after drinking. Prevention of Moisture proof: It should pay attention to adjust the surrounding humidity, in particular, do not place in a dark and humid place; to stay away from the kitchen and bathroom, should be placed in a cool and ventilated room, and regular check for mildew. People will collect lapel pins for a variety of reasons. Custom lapel pins are both beautiful and practical. Some collect due to a love for certain objects. Others become collectors because certain items or symbols have personal significance for them, such as military souvenirs. Due to the high appreciation rate of some collectibles, some people began to collections as an investment form. It’s also a fun way to socialize and meet new people. The value of the lapel pins is not only in its materials and craftsmanship, but also the longer the lapel pins is kept, the more important it is and the more valuable it is. Professional badges collectors maintain their badges carefully to ensure their value is not devalued by oxidation, wear and corrosion. GS-JJ offer a lot of collectible Custom Lapel Pins, Custom Medals and Custom challenge coin, Such as; Olympic Games Pins, Trading Pins, Disney Lapel Pins, Military Coins, Military Medals, Flag Pins. You can learn more about our products by visiting https://www.gs-jj.com/. You can also email info@gs-jj.com or call 1-888-864-4755. Youre so cool! I dont suppose Ive learn something like this before. So good to find any individual with some authentic ideas on this subject. realy thank you for beginning this up. this website is one thing that is wanted on the internet, somebody with a bit of originality. helpful job for bringing one thing new to the internet!